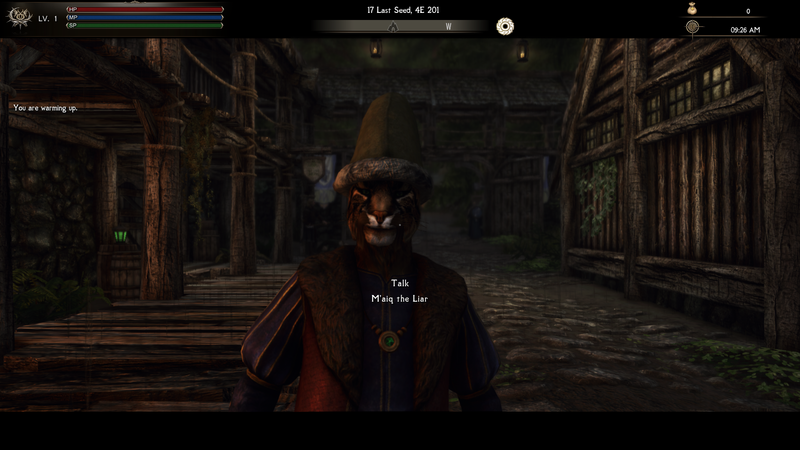 Gives M'aiq a fur hat (and noble clothes) from Beyond Skyrim Bruma. 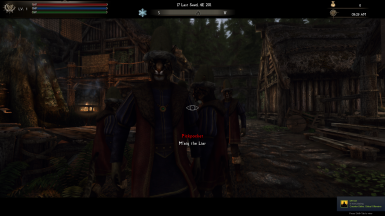 Beyond Skyrim - Bruma SE Obviously. 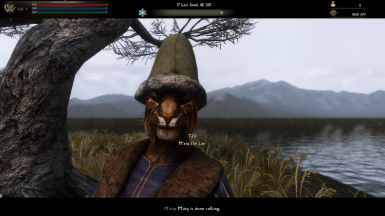 M'aiq - or his ancestor - wore a Colovian fur hat in Morrowind. 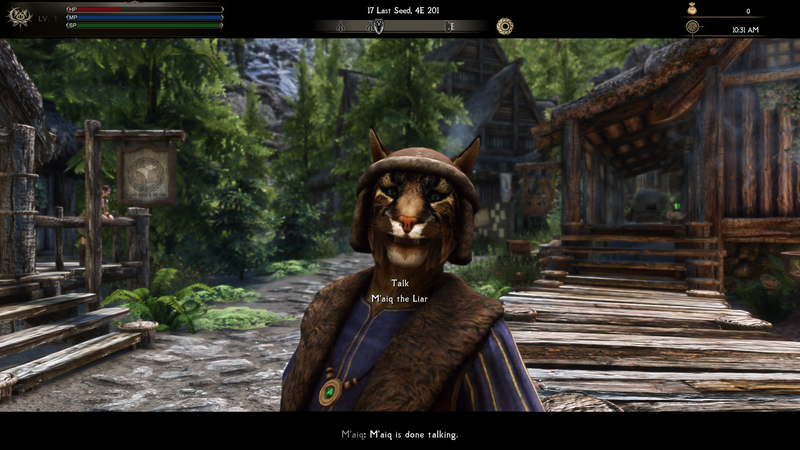 He really missed it in Oblivion :'( This gives him the Colovian Fur Hat from Beyond Skyrim Bruma. 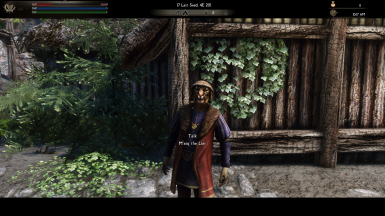 And a fitting merchant outfit. Requires Bruma for obvious reasons. 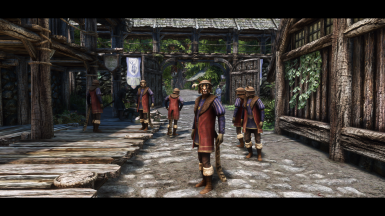 There are 2 versions provided, one with the common colovian hat. And one with the horrible looking one that Renod wears. 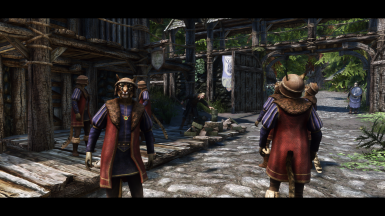 Straight from Morrowind. Unoriginal idea stolen from this mod.